Want some extra sparkling water on hand? 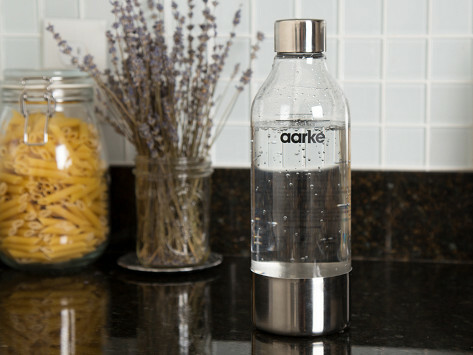 This bottle is designed just for your aarke appliance. Make your water—and your counter—sparkle. 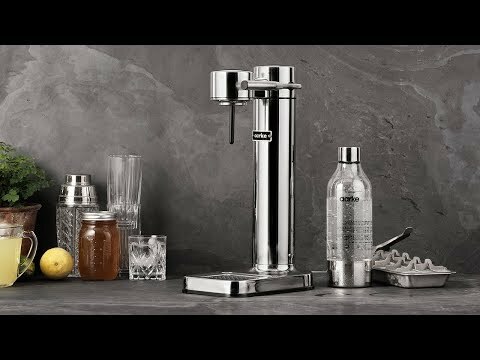 This sparkling water maker carbonates effectively, but also beautifully. Its creators—two industrial designers—made sure aarke is as good looking as it is effective. The design reminds us of those retro milkshake makers you’d see in a soda shop. Its special water bottle screws on to the spout, carbonating it quickly. Just pull the level down until you hear a buzz, then release it slowly. If you like your water extra fizzy, repeat. And if you like your water flavored, you can add natural flavors afterward. Making your own seltzer is more sustainable than buying it, because you’re eliminating plastic and aluminum waste. Plus, you can control exactly what goes into your drink, leaving out the additives commercial sodas and other drinks often have. And when you’re not making eco-friendly, healthy drinks, this minimalist appliance is one you’ll actually want to display.